AT&T announced on Monday that the launch of the new iPad set a new single-day record for sales and activations of Apple's touchscreen tablet. The new 4G LTE-capable iPad went on sale last Friday, March 16, and in that 24-hour span, sales were the greatest AT&T has seen for a new iPad model. Previous, 3G-capable versions of the iPad were also sold through AT&T. While the Friday launch was a record, AT&T declined to give specific numbers on just how many iPads were activated on its network, or how many the carrier sold in its stores or online. The brief statement from the company said it saw "robust demand for the new iPad." It was released soon after Apple Chief Executive Tim Cook said in a conference call with analysts that he was "thrilled" with the new iPad's launch weekend. Though Cook also declined to give any specific sales figures, he did say that the third-generation iPad had gotten off to a record start over the weekend. The new iPad is Apple's first-ever 4G LTE-capable device. Unique models compatible with the high-speed wireless data standard are available for both AT&T and Verizon, the two largest wireless carriers in the U.S.
As of last quarter, Apple sold 55 million total iPads to date. Predictions have called for Apple to sell one million of the new iPad over the launch weekend alone. The iPad went on sale last Friday in a total of 10 countries, making it Apple's biggest launch yet. 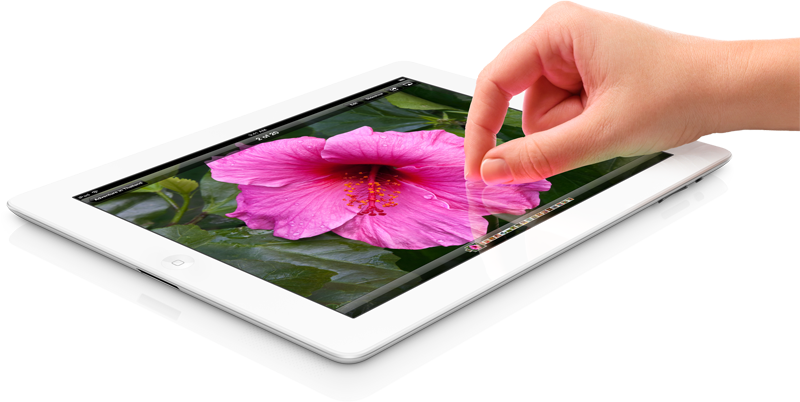 Wall Street analysts generally expect Apple will sell about 10.1 million iPads in the current March quarter.